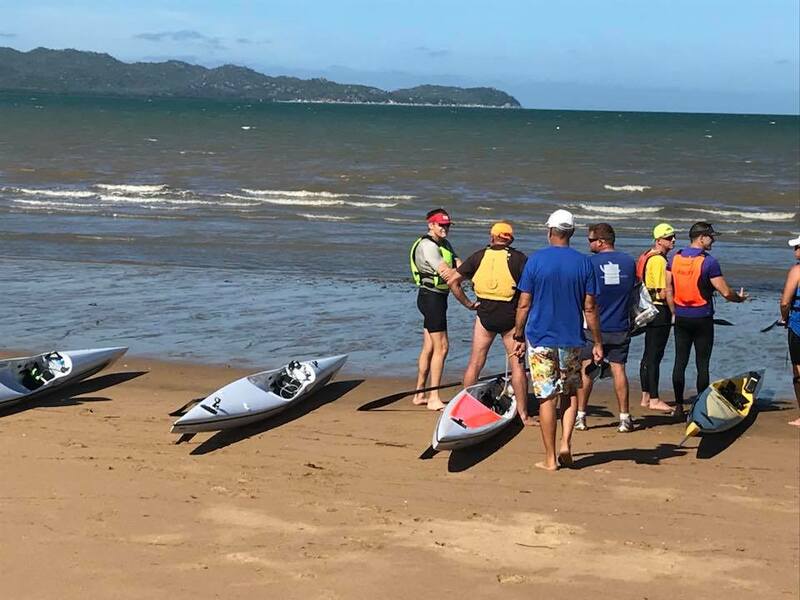 It is refreshing to see how far ocean paddling has come in North Queensland, one of the markers to show the improvement of NQ paddlers is that on any given day we can’t pick how the top 10 is going to pan out. Early in the week forecasts were for 20plus knott easterlies which had a few of us pretty excited, then the forecast turned to a 15 knott wind which was probably more suitable for a wider variety of paddlers. 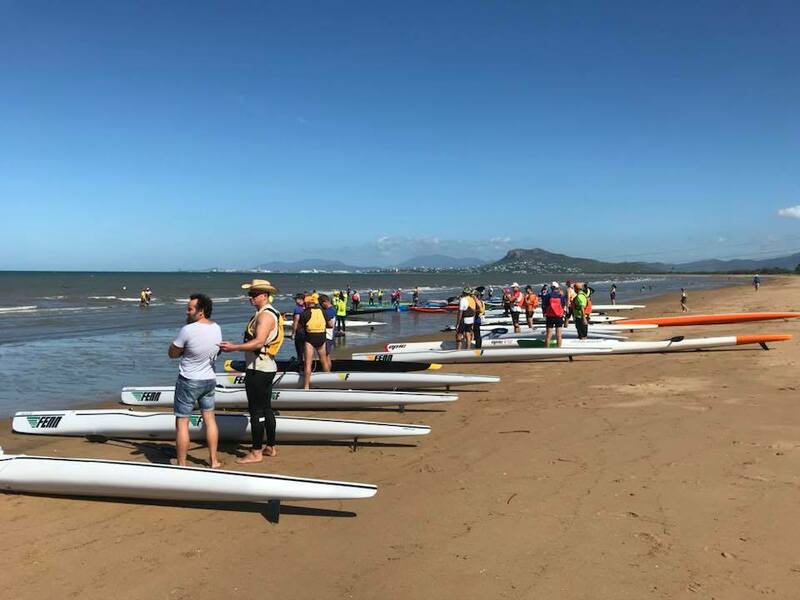 We sent off the SUP and Prone paddlers first to try and give them more chance at making it to the finish at a descent time a brave few set off and it’s great to see paddlers regularly turning up for the long course. The women’s wave took off before the rest of the field and each of them rounded the Sprint boat before heading to the turn marker which ended up in line with Bay rock as the direction of the wind kicked slightly northerly just prior to race start (thanks John in the lead boat getting the buoy in a bit earlier than expected). 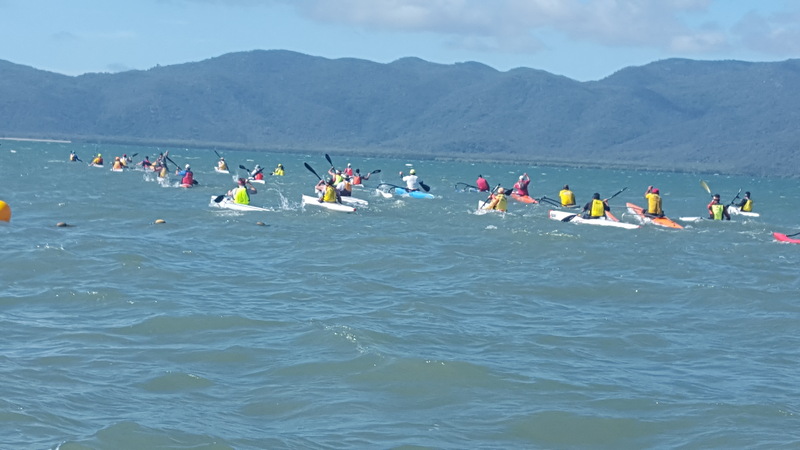 The East north east wind proved to be a bit tough for some with a slight cross chop for part of the leg heading to the first turn marker, then creating a wind shadow behind Magnetic Island where getting runs was hard work and minimal payoff, some just sticking to marathon style paddling. As we got further from the Island, there was a little bit of bump starting to appear and at this point the filed started to spread a fair distance left to right. 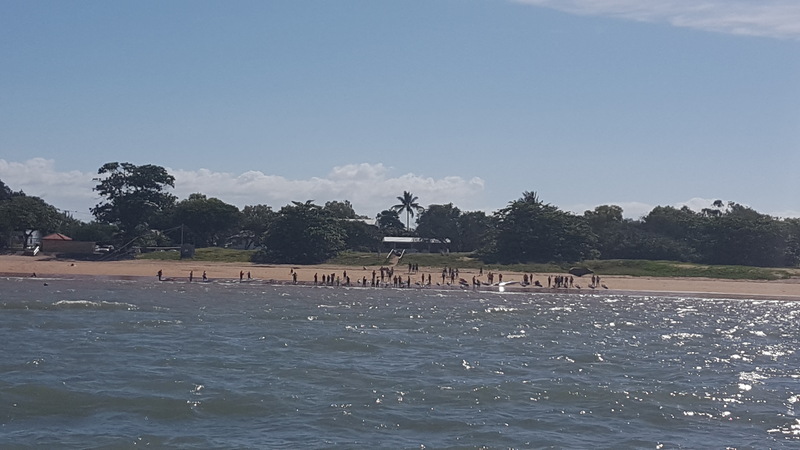 Some paddlers took a gamble on a left line closer to the smoke stacks of Yabulu trying to cut right on each run , the problem being you get too close and the water is messy, slow and shallow so you would need to work harder in the last few km. Those who were willing to avoid the temptation of the first signs of fast moving water and stick it out a bit more on the right hand wider line definitely ended up with the best finishing speeds where runs started to open up and link in to one another. We saw so many lines being taken out there and we hope you all got a lot from the experience. With a Prime line and his first win for 2018 in the Series Alex Duggan dominated in todays conditions, with around 7 minutes lead on the rest of the field, Brett Mesner Shocked himself coming in 2nd place after his top 10 at Battle the Barge. Peter McEwan (winner from battle the barge) was only 30 seconds behind Brett and told us on the finish line that he didn’t push it as there wasn’t a lot of reward on offer from the bumps so no point fatiguing too much. Have a look at the top 10, its pretty awesome to see a mix up from Battle the Barge, it goes to show we all have conditions that we do better in that why the ocean is so cool, it can change the dynamics of the race. Quona Young took out the women’s ski category with a come from behind surprise win (seriously she had no idea she had won) Liz Kerr came in 2nd place only a couple minutes later.Quona says she took a riskier left line to try and get some runners and see what happens…WELL Quona first win for 2018 so it worked today. Sue Creece came in first OC1 female and Angie Cooper came in 2nd place. One of our safety boats says Angie has THE perfect line every race, well Done Angie might have to pass on some of your wisdom. 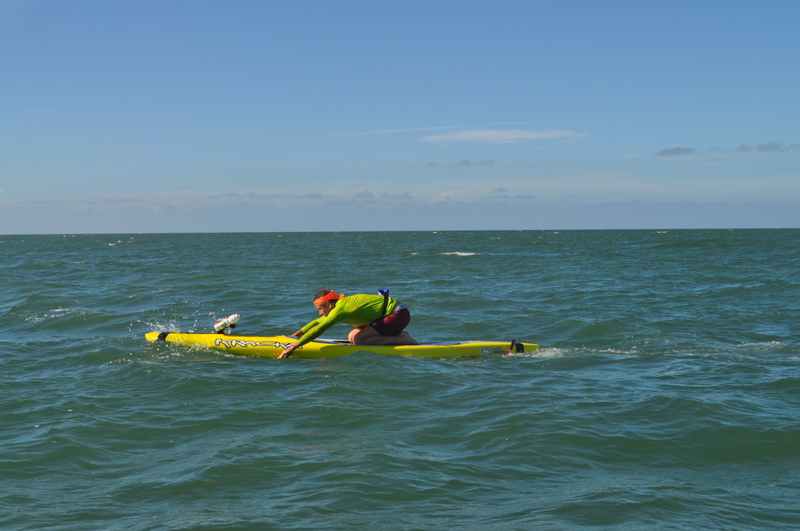 SUPS- Tyson Reeve had a crack at the Sup today, You will often see him on a ski and he was our Series champion in 2017 on a ski. 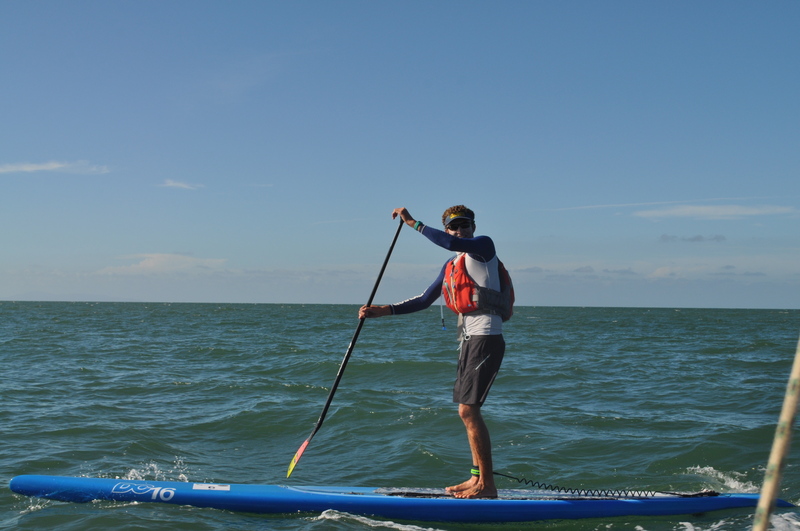 Tyson said he is not really in as good a shape as normal so it was no pressure to be on the sup today and a challenge to tray and stay upright especially in the cross chop sections. 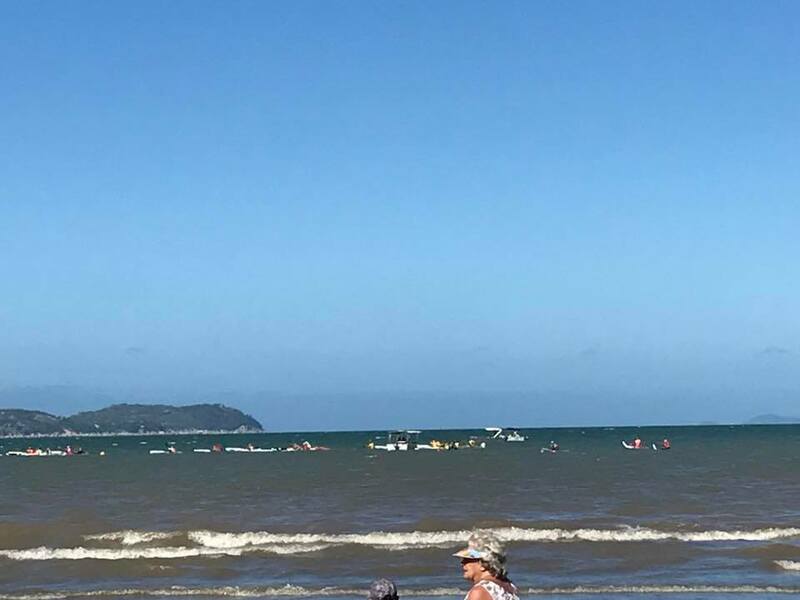 Tyson took the win today with Marvin Baumeister Schoenian in 2nd place … Marv took a left line towards the mouth of the Bohle and says he saw a Croc (EEEK) also a hard paddle back to finish in these conditions. Thomas Martyn came in only 3 mins behind. Prone- Bloody hell what a hard day, well done to Tony O’Connor who did the paddle on a prone board taking a left line and finishing with a long walk along the beach to the finish. 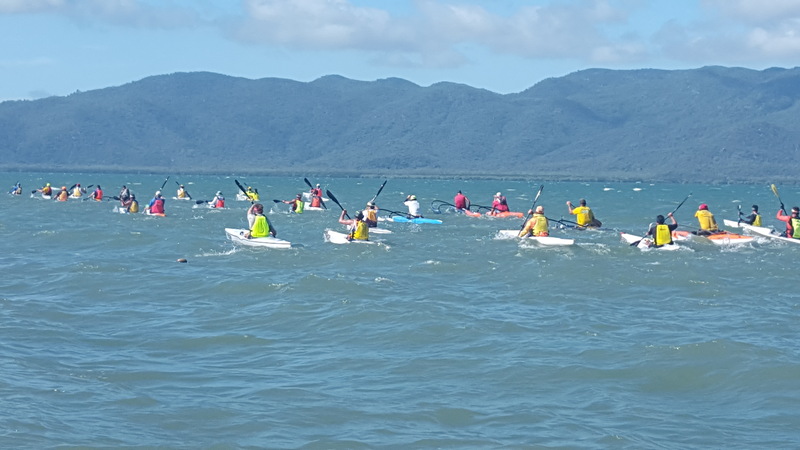 We are so excited to see where ocean paddling is going in North QLD at the moment and thank all the local outrigger clubs , paddling groups, sup clubs, coaches etc for their support promoting the series. We look forward to seeing you at one of the upcoming races.